We are a volunteer-driven nonprofit organization that’s dedicated to building a strong library program for our students to become information literate and life long learners. 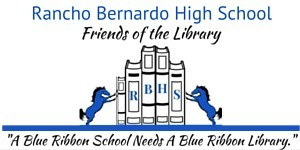 The Rancho Bernardo High School Friends of the Library is a non-profit, volunteer organization dedicated to supporting the RBHS Library in meeting the intellectual, curricular, and technological needs of all Rancho Bernardo High School students and staff through fundraising and advocacy. Advocate for adequate funding, services, and staffing for school libraries from state, district, and school site resources. 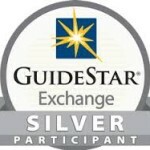 Foster the development and effective use of modern information skills among RBHS students. Enhance the collection of RBHS Library resources for students and staff. Increase awareness and support for the RBHS Friends of the Library programs among RBHS parents and the community. Are you interested in joining our Board of Directors? Please contact Lorrie Russo (858) 381-2490 or email at president@rbhsfriendsofthelibrary.org.